Yesterday was my birthday. We had a long chat about what to do, ie should we go out for a meal, but in the end I decided I would prefer to have a meal at home. We had to make a journey to a farm shop Wakefield in order to deliver a tool re Jon's business, so I prepared a beef casserole and left it in a low oven whilst we went about our business. We had been to the farm shop before - here and what a FANTASTIC place it is too! Whilst Jon was in the workshop I busied myself looking round the fantastic cheese selection, wine cellar and fresh produce. I came away with some fantastic cheese and vegetables for our meal. I also bought some WONDERFUL rose wine and a portion of sticky toffee pudding as it is one of Jon's favourites. By the time we returned home I was so pleased with my decision to eat at home - it was quite late and we were both very tired. Jon had insisted on doing all the driving, being it my birthday, so all I had to do was prepare a few vegetables, chill the wine and serve up! Fantastic! 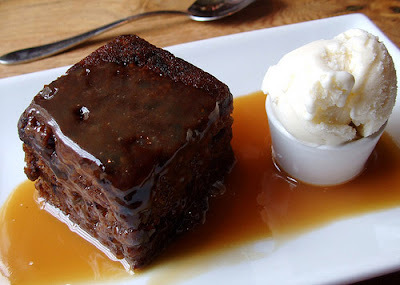 I must admit my healthy eating plan took a bashing when I HAD to have a small piece of sticky toffee pudding when Jon had gone to bed! I helped myself to a very very small portion.......then another very very small portion ......then another very very small portion ......then another very very small portion ..until - as if by magic the whole portion had disappeared, right before my eyes..no doubt showing up later on my hips!!! The shop have a special offer on each Friday so with the 2 steaks I bought I received a free sauce - which we are having tonight.....diet resumes on Sunday! The weather continues to be quite naff! It is very consistent however - a couple of hours sunshine followed by a downpour, ideal conditions for weed growth!We did make a dash for the blue skies today only to see the same sky turn black and the heaven's opened - our bike gear is drying off as I speak! I love holidays! The preparation, anticipation, change of scenery and daily routines! I think my favourite part of our holiday to the Isle of Man must be the Friday we leave. Early start...and a lovely trundle over the yorkshire moors and dales to arrive at the port...Heysham. The ferry crossing - where we ALWAYS are taken in with the breeze, forgetting the sun's rays penetrate.....(so midweek we both have sunburn) the journey to Port Erin and the lovely break we enjoy in the hotel. We spent a couple of days away from the racing due to bad weather - quite by chance I came across the novels of Rebecca Shaw and I have not been able to put them down since I arrived home. To date I have read about 15!!!! Yes I am a speed reader and HAVE to finish a book in a day - today however I read 2! Put it down to the weather! The books are based on village life and I would urge anybody familiar with such a setting to read at least one. The first one to read is the above. This sets the scene! I have one more to read then I have read the entire collection - a new novel, in the village series is due in August - I will be placing my order with the mobile library tomorrow. SO- any suggestions for a good read? Whilst we were away in the Isle of Man Margie had an off day. Our neighbour was looking after the hens and on one particular day Margie hadn't wanted to leave the henhouse. The next morning she was dead, having passed away in her sleep. Needless to say poor Emma was beside herself but I pointed out all our hens have a good life and it was just one of those things. Margie was buried under the cherry blossom tree on the farm belonging to Emma's partner's parents. A fitting gesture for a happy little soul. I am pleased to say I am feeling much better . I am fine when at home but once I go anywhere I find myself either shivering or feeling too hot and uncomfortable with headaches - so it is best to stay where I feel comfortable. The weather has been absolutely dreadful and today, Saturday is no exception - rained through the night and we awoke to yet more rain only stopping now and again. Amazingly we managed a tootle over to Whitby on Thursday and I had a manic weeding session whilst the sun shone. Sufficient time for me to fill the green wheelie bin ready for collection - I found this satisfying. 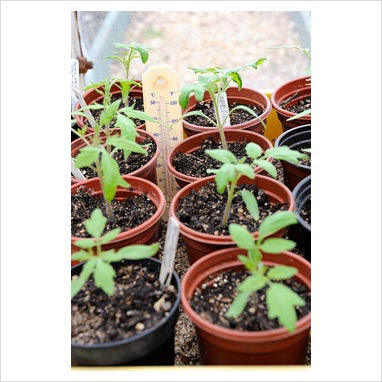 The garden is in need of some serious attention - Jon managed to cut the lawns and I am itching to pot on my tomato plants - which I am doing whenever the rain stops. 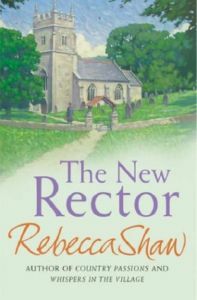 I have been spending time reading - Rebecca Shaw is my current favourites. I read one of hers whilst on holiday - part of a series based in a veterinary practice. I am now reading my way through a whole series based around village life - ideal for a few hours amusement! Life is returning to normal........well normal as it can be in the Nesbitt household! This was the view at 5am Sunday morning from our hotel window. Jon was just getting the bike ready for our journey home. A few minutes later as we were getting sorted the sun came out and gave us a couple of lovely images to take away. We had a good journey after a fantastic time in the Isle of Man. arriving home around 3pm. Needless to say I have been busy sorting through our luggage and the house has been like a commercial laundry in an effort to get everything washed and dried. Typically the sun is shining today after raining all day yesterday when I was trying to dry everything. So life is back to normal - Jon is very busy at work and I am just looking at the garden as it has grown so much whilst we have been away. Sadly all I can do right now is look and plan as both Jon and I have come down with a terrible cold, so my energy levels are quite low and all I can do is to take the "Day Nurse" capsules every 4 hours. I must say I think they are working but a couple more days should see me feeling my old self again. In the meantime I am enjoying reading and eating oranges!